Regardless of the cow herd base you are starting with, there is an easy way to use Gelbvieh or Balancer bulls to get the most profitable place in the industry. Feeders and packers demand an animal that will grade Choice with a Yield Grade 1 or 2. Crossbred cows have added longevity and a Gelbvieh-influenced female gives you more cow power. Use registered purebred Gelbvieh bulls to give you the needed muscle, red meat yield, growth and maternal power in one shot. Purebred Gelbvieh on high percentage British gives you the largest hybrid vigor and advantage. 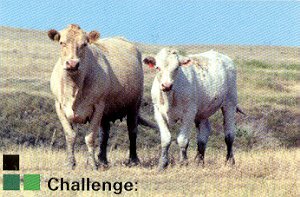 Use Gelbvieh or Balancer bulls on the resulting female offspring to maintain the optimum genetics for your environmental and market place. 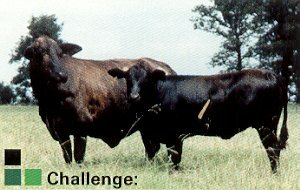 Use registered Balancer bulls or Angus (red or black) for the first cross. This brings the resulting breed composition closer to the half Continental-half British mix demanded by the industry. You will immediately boost maternal ability, carcass quality and moderate frame in a single step. Use registered Balancer bulls in the next cross to maintain the optimum genetic combination. 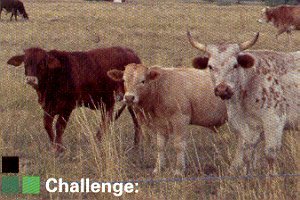 Use registered Balancer bulls to maintain the breed composition of the cowherd. This blend produces market-topping calves and awesome replacement females. Continue to introduce new Balancer genetics with the next cross to maintain hybrid vigor. 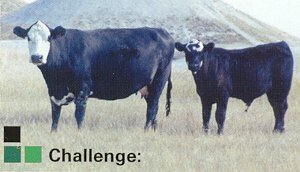 Use registered Gelbvieh or Balancer bulls to add muscle, fertility and create market-topping calves that will work in the feedyard or in the pasture. 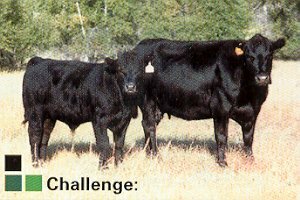 Use Balancer or Gelbvieh bulls on the resulting offspring to maintain a touch of ear, while adding pounds and maternal traits. Multiple Breeds and Percentages represented. Use registered purebred bulls for the first cross to establish a halfblood of known genetics. Then, use registered Balancer bulls on these halfbloods to move quickly towards the industry's optimal mix of Continental an British.